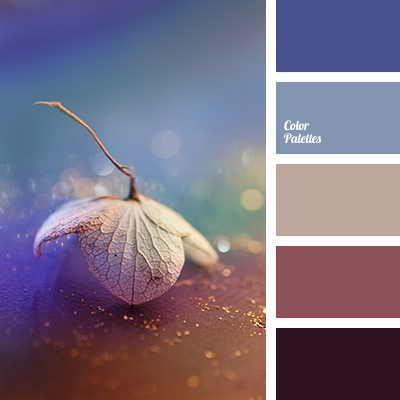 Palette that attracts with its charm and mysteriousness. 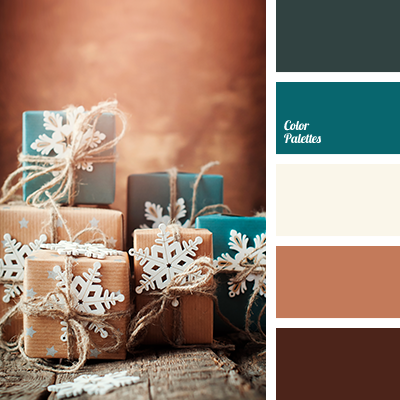 The combination of blue, rufous, dark brown is harmonic, beautiful union. 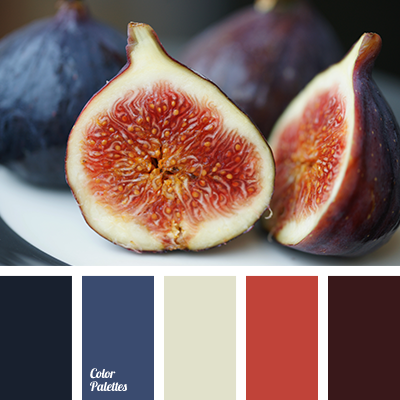 Passionate and amorous individuals will like these colors. 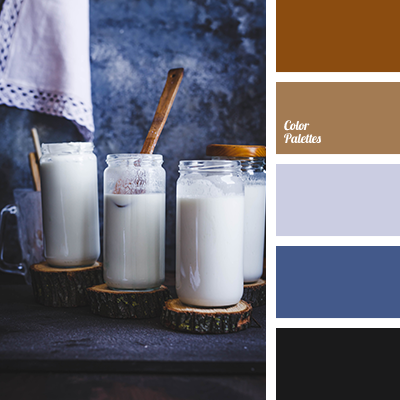 Milk shade dilutes this palette, but black on the contrary creates a contrast. 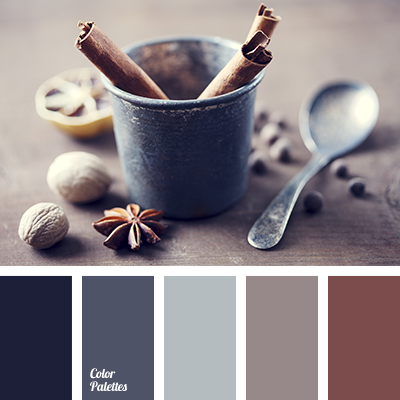 Appropriate gamma of shades for stylish restaurant, cafe decoration.